AdStage PPC has been tapped by 10 Best PPC as the Best Yahoo PPC Management Firm for its February 2016 rankings. Illinois-based firm Jumpfly ranked second, while MediaNet of India ranked third. 10 Best PPC is pleased to announce the recipients of the Best Yahoo PPC Management Firm Award for February. According to the criteria set forth by 10 Best PPC, the top three honorees are AdStage, JumpFly and Media.net. 10 Best PPC provides comprehensive resources for information about PPC management companies in various industries. Headquartered in San Francisco, California, 10 Best PPC is comprised of a team of veterans in digital advertising, pay-per-click campaigns and online brand. With their diverse experience in platforms such as Google Adwords and social media campaigns, 10 Best PPC knows what it takes to become a top PPC firm in the industry. 10 Best PPC compiles information about top management firms based on qualitative and quantitative ranking factors. AdStage PPC came in first place on 10 Best PPC’s list of best Yahoo pay-per-click businesses. Also headquartered in San Francisco, AdStage provides an all-in-one platform for their PPC clients. AdStage partners with clients to develop a strategy for a simplified workflow, digital automation and social media branding. AdStage actively monitors each PPC ad to determine its effectiveness. If the ads are not creating a strong ROI, the ad campaigns are retooled. AdStage PPC can develop efficient campaigns that save money and time. Jumpfly is a top Yahoo PPC management firm based out of Elgin, Illinois. With a highly dedicated and specialized staff of 20 knowledgeable employees, Jumpfly creates PPC campaigns that deliver measurable results to their clients. With experience building thousands of campaigns in several industries, Jumpfly has created campaigns for Facebook, Bing and Google Adwords. Media.net, a leading Yahoo pay-per-click firm based in Mumbai, India, has more than 700 PPC experts. Media.net services clients all over the globe. Media.net specializes in creating innovative digital advertising products. Media.net is the second-largest contextual PPC ad firm in the world. 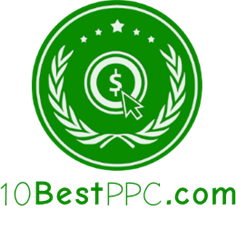 Compiling the information for the best PPC awards takes great care and attention by the industry leaders at 10 Best PPC. Recipients receive awards based on data collected from SEO rankings, site traffic, customer reviews, proprietary analytics and online research statistics.